Interactive effects of Single Nucleotide Polymorphisms (SNPs), namely, SNP-SNP interactions, have been receiving increasing attention in understanding the mechanism underlying susceptibility to complex diseases. 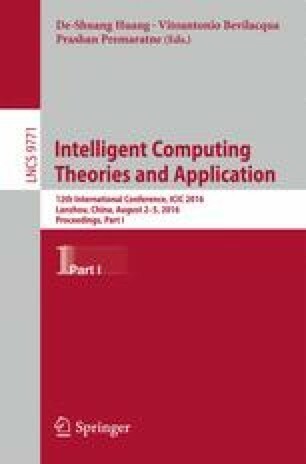 Though many works have been done for their detection, the algorithmic development is still ongoing due to their computational complexities. In this study, we apply selectively informed particle swarm optimization (SIPSO) to determine SNP-SNP interactions with mutual information as its fitness function. The highlights of SIPSO are the introductions of scale-free networks as its population structure, and different learning strategies as its interaction modes, considering the heterogeneity of particles. Experiments are performed on both simulation and real data sets, which show that SIPSO is promising in inferring SNP-SNP interactions, and might be an alternative to existing methods. The software package is available online at http://www.bdmb-web.cn/index.php?m=content&c=index&a=show&catid=37&id=99. This work was supported by the National Natural Science Foundation of China (61502272, 61572284, 61572283), the Scientific Research Reward Foundation for Excellent Young and Middle-age Scientists of Shandong Province (BS2014DX004), the Science and Technology Planning Project of Qufu Normal University (xkj201410), the Opening Laboratory Fund of Qufu Normal University (sk201416), the Scientific Research Foundation of Qufu Normal University (BSQD20130119), The Innovation and Entrepreneurship Training Project for College Students of China (201510446044), The Innovation and Entrepreneurship Training Project for College Students of Qufu Normal University (2015A058, 2015A059).